The debate about the national debt has already paid off: Individual Americans pitched in nearly $8 million of their own money to help reduce it in fiscal 2012. That's more than double the total from the year before. 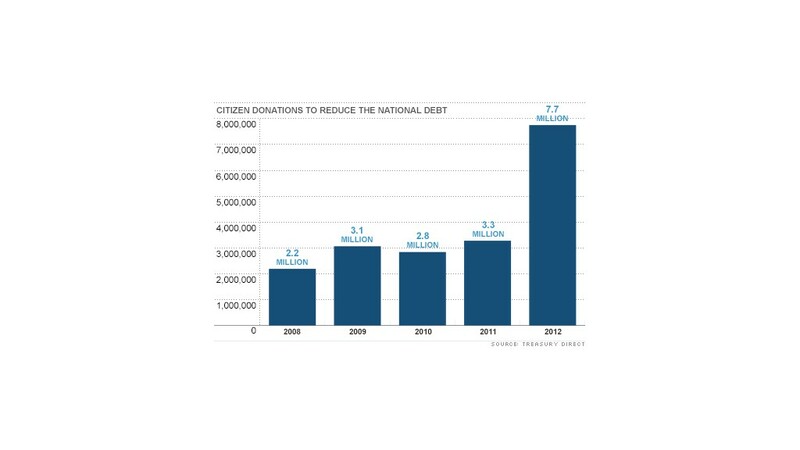 Donations for the national debt had averaged about $3 million a year since 2009. "So this is obviously a big jump," said Mckayla Braden, a spokeswoman for the Bureau of the Public Debt. But even this year's hefty total of $7.7 million is barely a drop in the bucket. That sum represents just 0.000007% of the approximately $1.1 trillion deficit the U.S. ran in the latest fiscal year. The country's total outstanding debt is more than $16 trillion -- perilously close to the $16.394 trillion debt ceiling, and the Treasury Department expects to hit the legal borrowing limit by the end of this year. The ongoing national debate about how to get America's debt under control has certainly heightened the public's awareness of the matter. Diane Lim Rogers, chief economist at the Concord Coalition, a grassroots organization focused on eliminating federal budget deficits, believes that donations are up because more people realize the dangers of a massive deficit. "I think this is a small minority of people signaling to the world that their taxes should be higher," she said. The whole idea of accepting donations to help pay down the national debt didn't exist until 1961, when an anonymous estate left $20 million to the Bureau of Public Debt for just that purpose. Congress had to pass a law in order to be able to accept the money, and a total of $85 million has poured into the bureau's coffers in the 51 years since then. "It's not like this is a tremendous amount of money," Braden admits. "It is a needle in the haystack." There is no "average' gift," or donor for that matter, according to Braden. Some donations come from estates, when a person dies and leaves their money to Uncle Sam, but plenty of living taxpayers pitch in, and so do children. "I once had a classroom send me a small bags of coins," Braden said, "which we don't really want. Cash or checks are preferred." One stumbling block for the program is that few people know that it exists. Citizens can contribute online at pay.gov, send a check directly to the Bureau of Public Debt, or include a separate check with their federal income tax return. Pete Sepp of the National Taxpayers Union supports the idea of adding a check box on tax returns to get more people to donate to Uncle Sam. In fact, South Dakota Republican Senator John Thune has introduced a bill, known as the Buffett Rule Act of 2011, that would allow taxpayers to send in donations along with their federal tax returns, on top of any tax owed, to reduce the public debt. 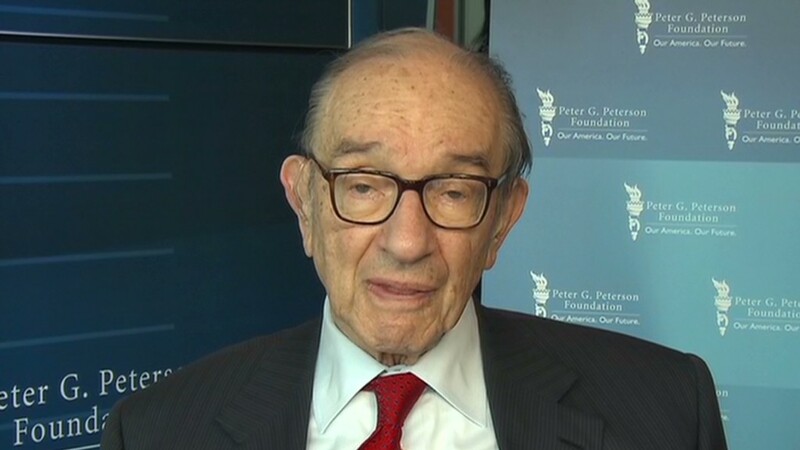 "If national debt is indeed one of the greatest concerns in America today, maybe tax returns should provide for a way to recognize those who want to do something about it," Sepp said.